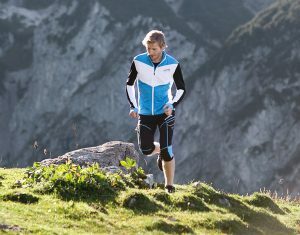 Before you start training in any sport, you should always think about the sportswear you will use. Never undervalue the importance of sportswear as it can make or break your session. Some of the reasons why you need comfortable sportswear include the following. Sport is about moving your body. Imagine how difficult that would be if the clothes you are wearing are not comfortable. Something too tight will hinder your movement, and you may even end up with ripped clothes. If your clothes are too baggy, or your shoes do not fit well, then, chances are, that you will spend much more time trying to adjust your attire instead of focusing on exercise. Uncomfortable sportswear means you will always be self-conscious, wondering if people are looking at you. The remedy to that is ensuring your attire fits well so that you can focus your energy on training, instead of wondering if people are looking at what you are wearing. Comfortable sportswear will make it easier for your body to sweat and release the heat from moving around. This keeps your body functions at an optimum and opens your pores. If you wear uncomfortable clothes made from the wrong material, you may end up getting skin diseases due to trapped sweat. Uncomfortable attire can also be a health hazard, as loose clothes with hanging parts have been reported to choke people. What you wear during training determines how motivated you will be during your session and the subsequent ones. If your sportswear is not comfortable, chances are that you will find exercise to be a chore, and you will always be looking out for the time when you will get the uncomfortable attire off your body. Comfortable attire, on the other hand, will make you look forward to exercising.